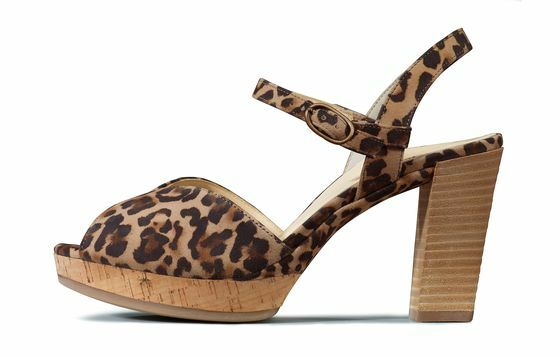 These platform wedges by Paul Green are stylish and feminine. The model inspires with soft leather in a leopard print design, and has a fine adjustable strap. Both the platform soles with covered cork and the Cuban heels provide a special look. The modern mix makes these sandals special, and guarantees a stunning appearance! All Paul Green shoes are made by hand, in up to 160 work steps, and then reviewed. This ensures that the high demands relating to fit and quality are met.